I started playing around with it this spring again. It didn’t really wanna fly until I added a C major to the pre-chorus. And suddenly it worked. I switched things around many times and despite it all being in A, for some reason when the vocals hit the A chord they feel like a change of key. Might not be the way it’s done but that’s what I’ve read. I learned loads on this fantastic online course called "Justin Guitar". Justin goes through everything you need to know about music theory, for free. He explains how it is, how it should be, and what’s most common. How to build a good song. I like that he still says: "But if it sounds good...just go with it". And Tenacious D always said: "Rock is all about the feeling." So… that’s just how it’s gonna be. I’ve tried writing calmer music for a while too. Mainly because that’s my thing. On stage with RMF I want it to be messy, fast and rough because that’s the best when you’re performing on stage. I really get a kick out of it. But now I’m trying something calmer. That’s how "Welcome to My World" was born. 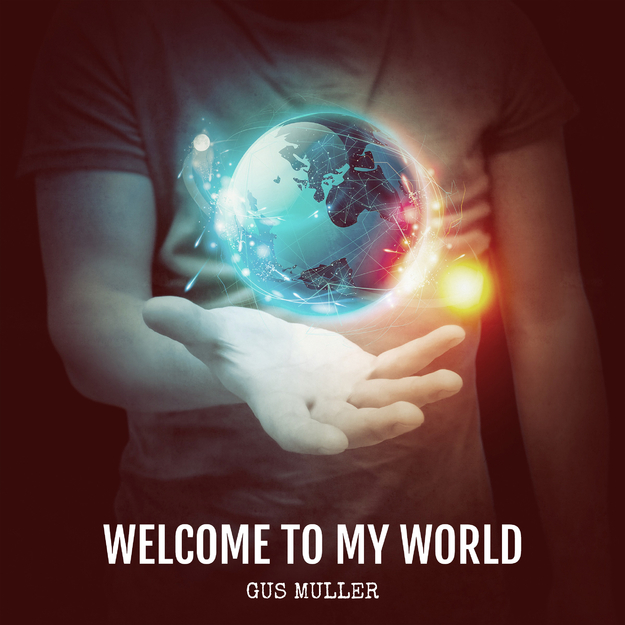 "Welcome to My World" is about trying to get some of that positivity into your life. I mean I’m bombarded with misery on the news and that can really get me worried about the future. How are things gonna look for my kids and grandkids? But I try to stay positive and focus on what’s actually fantastic. A long time ago I heard a monk, just back from Nepal, in a radio interview who said one should always look on the bright side, without being irresponsible. I think that was wise. Look around you and rejoice, man. But take the important things seriously. That’s where the lyrics to "Welcome to My World" came from.